Imagine Dragons are getting creative when it comes to promoting their new album. 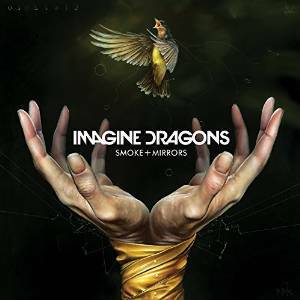 The alternative band recently released the artwork for the upcoming set – “Smoke + Mirrors,” out Feb. 17 – but it was more than just a cover image. If you really inspect the cover art of the band’s upcoming album, you’ll see a special pattern. A loyal Imagine Dragons fan named Lindsea broke the code: it was a series of coordinates that corresponded to a certain spot in the Nevada desert. She got in touch with family that lived in the area and, at those coordinates, found some Imagine Dragons swag.